Reviews of the best pizza places in Omaha. 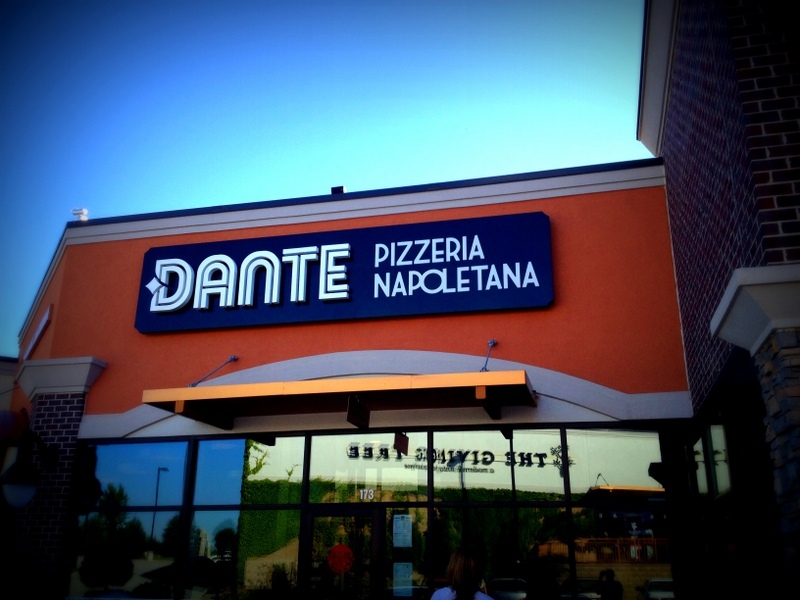 Dante Pizzeria Napoletana is located in West Omaha near 168th and West Center Road in the up-scale Shops of Legacy shopping center. Last Saturday night we met some family there for what turned out to be a fantastic dinner. Dante is a large place with plenty of family-friendly seating, an open bar with full wine list, a large open kitchen and an indoor bocce ball court. The star of their kitchen is the Valoriani wood fired oven that burns near 800 degrees and spits out pizzas in 90 seconds flat. They source many of their ingredients from local suppliers, which earns a huge thumbs up from these pizza enthusiasts! On this Saturday night, our group decided on appetizers of meatballs and flatbread, main courses of oxtail and gnocchi, The Pig pizza and the Cinque Formaggi (five cheese) pizza. Also on our menu were a few glasses of wine and some cold beer – of course. First out were our meatballs and flat bread. 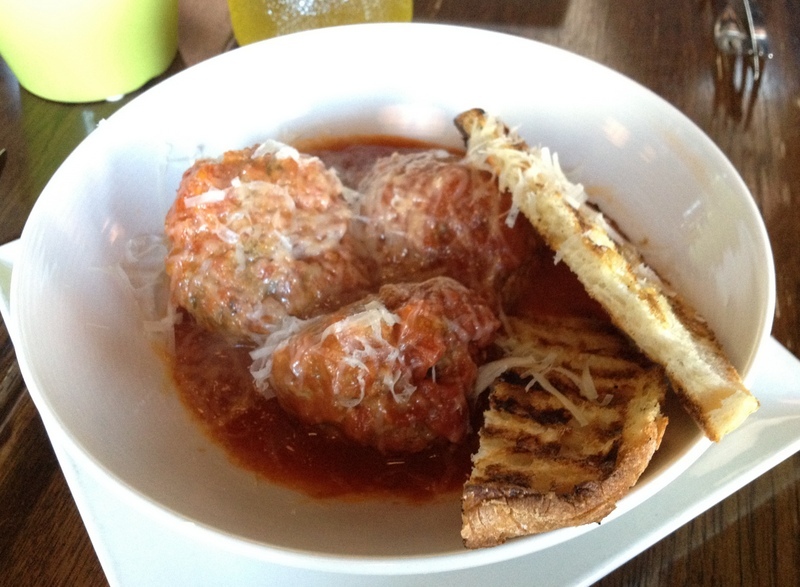 The three large meatballs are served with crostini (toasted bread) with grana padano cheese and their marinara sauce. The meatballs were very flavorful with a nice little kick to them. Not too spicy, but just enough to make you notice. The simple marinara was of equal quality – simple yet very tasty. 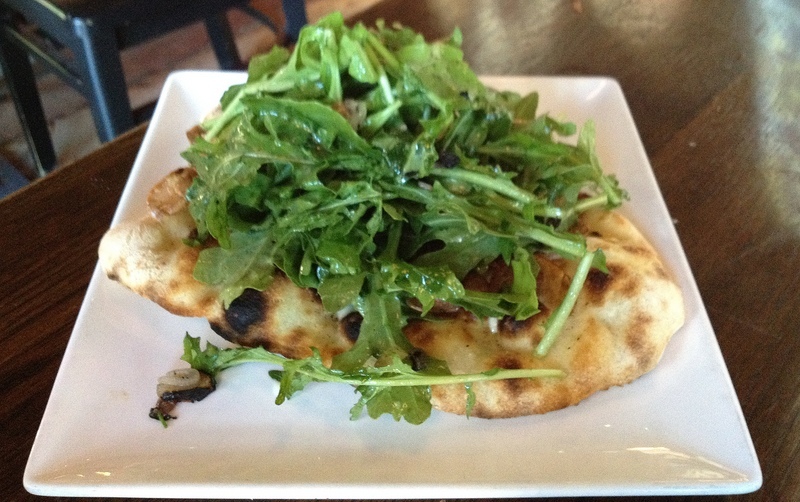 The flatbread, topped with softshell crab and arugula along with coppa, rosemary, garlic, and mozzarella, was another instant favorite. A light dressing on the greens seemed to have a burst of lemon and was a wonderful accompaniment. This dish wasn’t around for long as The Pizza Wife and Pizza-in-Laws thoroughly enjoyed it. Soon after we devoured our starters, our main courses arrived. The oxtail and gnocchi was simply out of this world. In fact it was so damned good we didn’t even have time to get a photo of it for the blog before it was gone. It was extremely tender, perfectly salty and had a heavy and deep beef flavor. The gnocchi, which I’m pretty sure translates into “little potato dumpling pillows from heaven”, were also fantastic. I’d suggest you go and get yourself a bowl of it right now, just as soon as you finish reading the rest of our review. 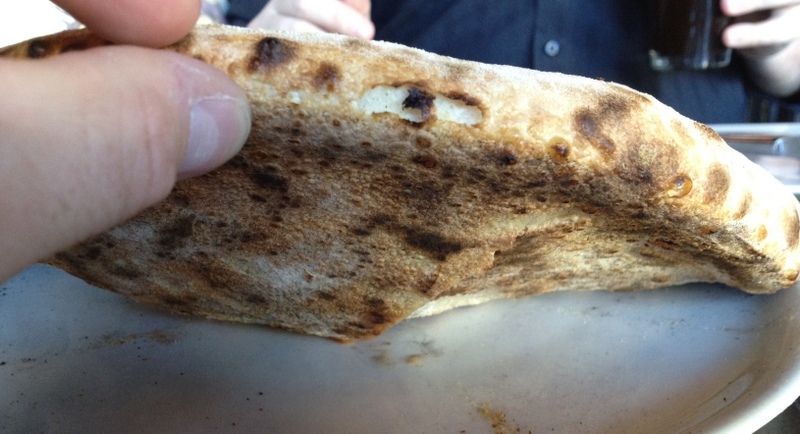 The crusts at Dante are thin, crispy, and charred on the bottom with a puffy outer edge. 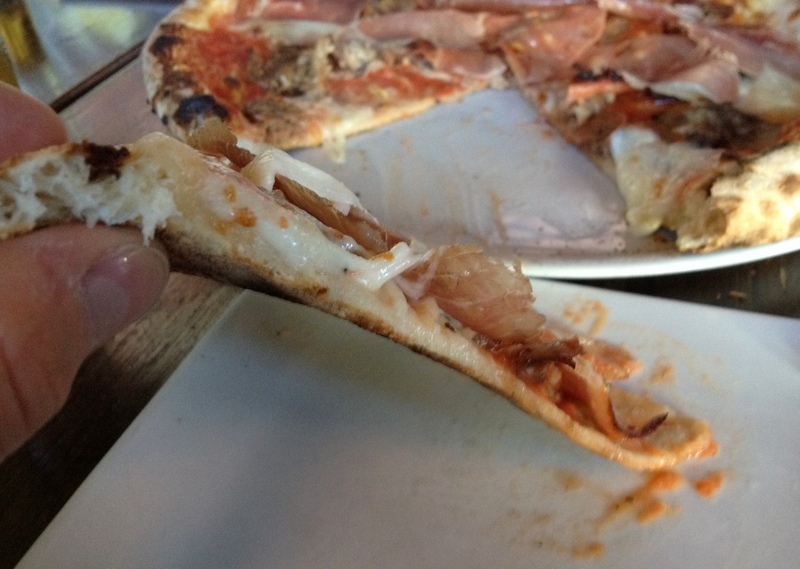 Overall I really enjoyed the wood fired crust with only one exception. The only thing that I personally didn’t care for was the charred taste of the black bits. Understandably this is a characteristic of the ultra hot cooking temperatures of the wood fired oven, and it’s certainly something that not everyone will be adverse to. The Pizza Wife and one of the Pizza-in-Laws prefer a slightly thicker crust, but they didn’t have a problem going back for seconds on the pie. Being the devout carnivore that I am, The Pig pizza was made just for me. 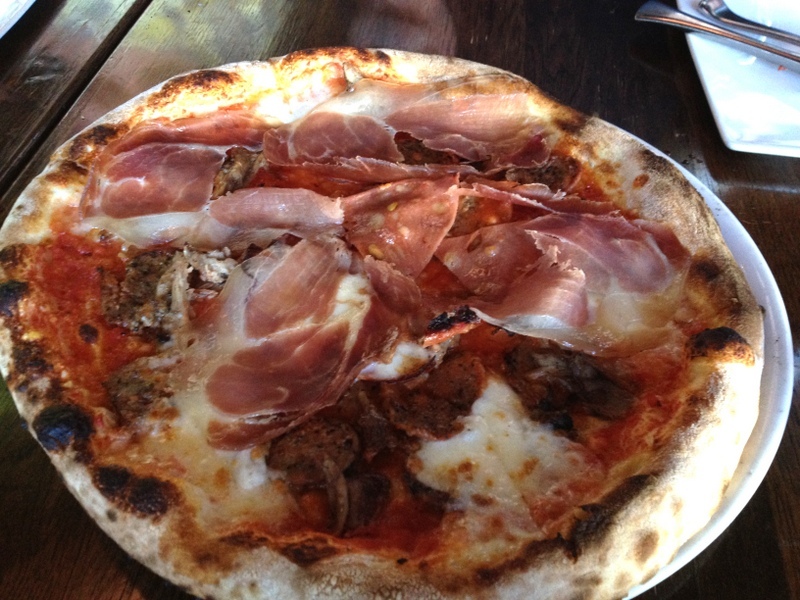 It features braised pork, dante sausage, mortadella, prosciutto and mozzarella. It’s also stupidly delicious and certainly one of my favorite pizzas in Omaha. To me the standout on this pizza was the slices of dante sausage, which was quite spicy. That being said, there wasn’t one thing I didn’t enjoy about the toppings of this pizza. Everything here was top notch and certainly recommended. Our Cinque Formaggi pizza was equally tasty. It featured a five cheese harmony of taleggio, mozzarella, gorgonzola dolce, ricotta and grana padano. Together they combine into a simply wonderful pizza. Gorgonzola can be overpowering if not used sparingly, and Dante did just that; there was enough for an extra added bite to the pie but it didn’t overwhelm the rest of the cheeses. Overall we were extremely impressed with the menu selection and our dining experience. Everything Dante produced was perfectly prepared, perfectly presented and most importantly, it all tasted fantastic. Dante Pizzeria Napoletana is certainly on our short list of best pizza places in Omaha. 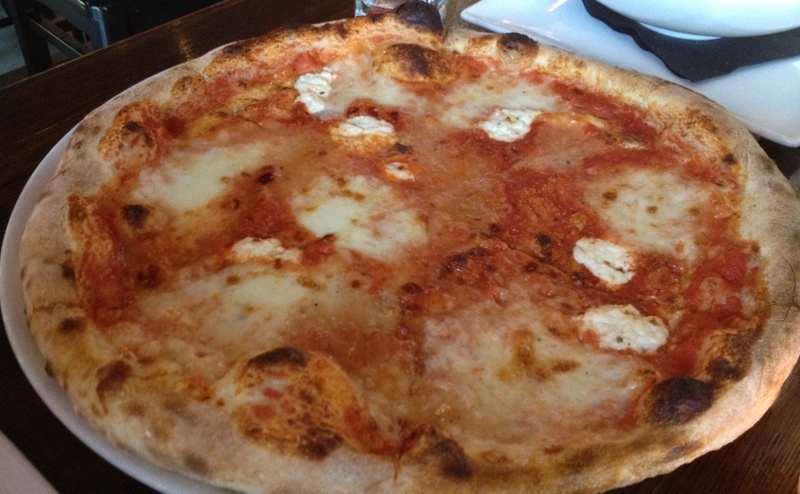 How would you rate Dante Pizzeria Napoletana? Click on the stars below! This entry was posted in Pizza and tagged Dante Pizzeria Napoletana. Bookmark the permalink. I am so excited to have found your blog!! We have pizza night every Friday and are getting bored with the same old (lots of Roman Coin and Zio’s). We are going to Dante’s tonight, thanks!! We didn’t like Dante’s. The food was slightly above average, the prices were high, and the service was absolutely horrible. I would not go back there again.